By: Erik Hyrkas on June 12, 2015. Oculus Rift’s consumer edition has been a long time coming, and gamers will get their first peak of the final headset, controllers, and games that will be available with the device at E3 2015 this week. Facebook’s newly acquired virtual reality electronics company held its preemptive E3 press conference yesterday to show off the final version of the headset along with the first playable VR games, including Eve Valkyrie (flight simulator), Edge of Nowhere (a survival game), Chronos (an RPG). The finalized Oculus Rift headset looks much like the previous shots of the consumer version, which is an offshoot of the Crescent Bay prototype. The previous models also had a jet black design, built-in headphones, and over the head straps attached to the display and goggle box. The squared-headset holds a wide display, stereoscopic lenses, and general internal hardware of the device. No specs have been confirmed, but something tells us the internal display may be something as wonderful as the Samsung Galaxy S6‘s 577 ppi Super AMOLED. 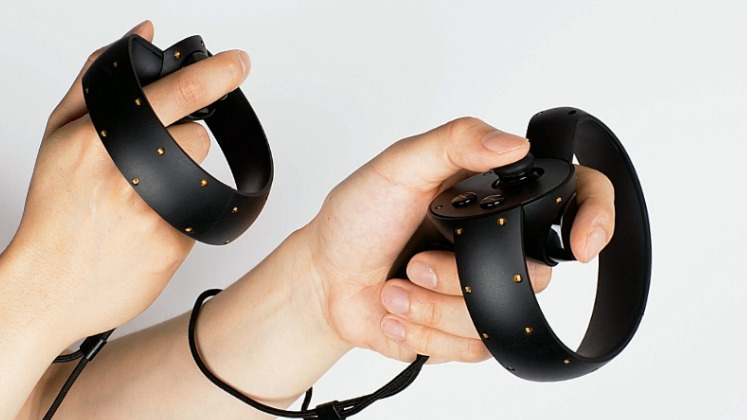 Oculus also demoed brand new controllers known as “Touch” that are held in both hands. These controllers have several buttons and thumb joysticks. They also support gestures and waving movements like Nintento’s Wii and Sony PlayStation’s Move game controllers. In addition, Oculus announced a $10 million investment into indie developers, promising a plethora of unique gaming experiences, as well as a partnership with Microsoft that will allow Oculus Rift owners to stream Xbox One games and play with their controllers. An Xbox One controller will also ship with the device. This opens a great market for Oculus, because it will no longer be solely tied to PC gaming. It also suggests Oculus may finally not be literally tethered to a game box or PC to function. This would be an inncredible innovation considering the Samsung Gear VR is currently the only wireless VR device worth your money. 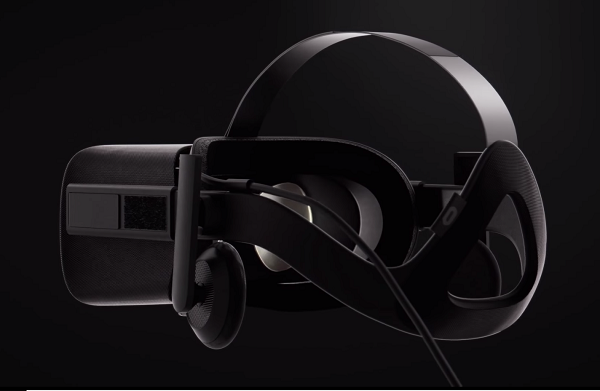 The Oculus Rift will first sell in Q1 of 2016. To see Oculus’ E3 demo and trailers for the Edge of Nowhere and Chronos, watch on below. Last updated by Erik Hyrkas at June 15, 2015 .